The first day of prelims at the 2016 Canadian Trials is underway. Â Hit refresh for the latest coverage. Josh Prenot of the U.S., put up the top time in the men’s 400-meter IM with a 4:18.92. Â That’s well off his eighth-ranked season best of 4:15.07 from the Austin stop of the Arena Pro Swim Series. Posted on 5th April 2016 by Jason Marsteller. 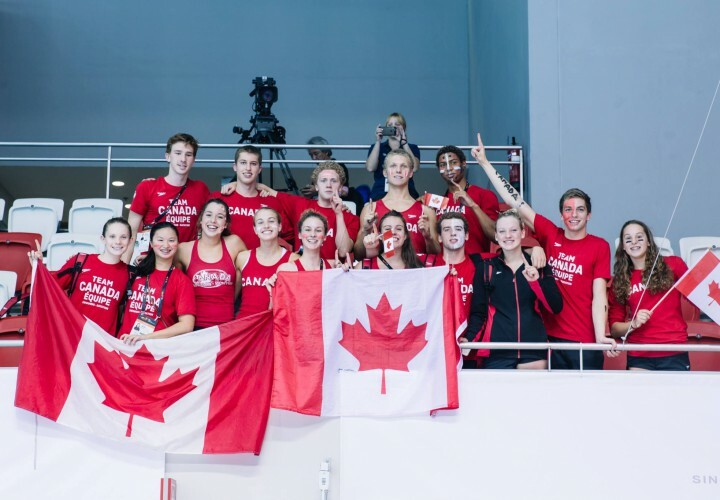 This entry was posted in Swimming and tagged 2016, Canadian, Live, Prelims, Recap, Trials. Bookmark the permalink.